I can’t recall a more tone-deaf performance from a party leader during an election campaign than the one Jay Weatherill turned in yesterday. Questioned on ABC Radio over the fallout from the devastating ICAC report into the Oakden scandal, the Premier was at his petulant best, adopting the trademark “lofty sneering” persona he usually reserves for live debates with Steven Marshall. Sure, he might not have been receptive to goading theories about how little he cared about senile mental health patients, but probably “diplomatic contrition” might have been the better posture to strike than “lofty sneering” on this particular occasion. Moreover, he dismissed said theories on the basis that “it’s not what the Commissioner found”. This argument lost a fair bit of its sting, however, when he conceded he still “respectfully disagreed” with Bruce Lander about the need to hold public, transparent maladministration inquiries – a need the commissioner went out of his way to re-emphasise in his report. But, despite yet another apology, Weatherill isn’t buying the notion that his government – a government which established the lines of responsibility for the provision of health services over 16 years – should shoulder the blame for what happened at Oakden. After all, none of his ministers – not even the belligerent and out-of-her-depth Leesa Vlahos – had copped a finding of maladministration against them. We’re fixing it now, he insists. That’s what we’re here for. Much has been spoken and written about the slipping concept of ministerial accountability, but it’s worth recalling that John Bannon – who wore no small amount of opprobrium from the end of his political career until his death over his State Bank legacy – did two things after the crisis became public. He stayed around to put solutions in train. And then he quit. These days, his Labor descendants tend to do a fair bit of the former but very little of the latter. Vlahos, who is still on a parliamentary salary until the election, has been an MP for eight years – an unfortunate two of them as a minister – and never lived in the northern suburbs electorate she purported to represent. Even a cursory reading of Lander’s incendiary report should be enough for most reasonable people to conclude that this is a person who should have kept about as far away from a ministry as she chose to reside from her electorate. Her name is referenced on 120-odd pages of the 312 page ICAC report (not counting reams of appendices) and none of them does her any favours. Despite her and the Premier’s claims that she was taking a lead in “shining a light” on the hideous goings-on at Oakden, Lander found these claims were inflated and self-serving. “She was not a leader in righting the conditions at Oakden [but] a follower,” he declared, moreover noting that she had tried to take the credit for decisions made by others and “exculpate herself from any responsibility” at almost every turn. In one particularly ridiculous passage in her “curt, aggressive and generally unhelpful” written statement, she appears to question the validity of her own authority as Mental Health minister, effectively undermining the entire point of establishing a standalone ministry. According to Lander, she wrote: “On 3 July 2008 the Minister for Health purported to delegate to the Minister for Mental Health and Substance Abuse all the powers and functions of the Minister for Health under the Health Care Act 2008, insofar as those powers and functions related to, or concerned matters affecting the provision of mental health services, or services relating to substance abuse. I understand that this delegation has remained in force since 3 July 2008. That delegation did not prevent the Minister for Health from carrying out the relevant functions or powers. Lander says that Vlahos, under questioning, “refused to concede the validity of the delegation of the functions of the Minister for Health to her as Minister for Mental Health and Substance Abuse, despite the fact that she exercised those powers as Minister for Mental Health and Substance Abuse pursuant to that delegation, because she said she had not seen the actual instrument of delegation”. “That was an absurd position for a Minister to take when she in fact had been exercising those delegated powers,” he notes. At another point, Lander appears so incredulous about what he’s seeing that he needs to go to a video review to decide if Vlahos was really as unhelpful as she appeared. “I formed the impression that she was a very poor witness, however I thought that I should satisfy myself that my assessment of her as a witness was correct,” Lander writes. “I therefore viewed and listened to the video and audio of her giving evidence. And how. She was in turns “belligerent and aggressive, sullen and surly”. Sometimes she became angry “and on occasions she shouted at me”. “She blamed others for mistakes or failings whenever and wherever possible,” Lander emphasises. And then, at the end of it all, she sent a legal letter seeking to keep her name out of the final report. Are we starting to see why Labor was so keen to avoid open hearings in this investigation? Ironically though, it’s inconceivable that even Vlahos would have conducted herself in such a manner had her interview been open to the media and the public. And while there’s no doubt the damage would have been spread out over a longer period of time, the fallout would have been somewhat diluted as a result and probably retired to the back of the political agenda long before the campaign began. Which makes Labor’s pig-headed insistence on the need to maintain secrecy in the face of overwhelming opposition – most notably that of Lander himself – all the more bizarre. If there’s ever a time to accept you backed the wrong horse, this is it. After all, the Libs and SA Best have already vowed to amend the ICAC Act accordingly – so Labor appears to have little to lose in conceding the point, given it’s a point that could be the final nail in their electoral coffin. The party’s campaign mantra – that Weatherill is “standing up for South Australia” – has a hollow ring in the revelations of this week and the manner of his response to them. The drums seem to be beating ever more loudly for the Labor leader. Around this time last year, some Liberal insiders began peddling the theory – albeit a wildly implausible one – that the Premier would not even last until the election and would be replaced in the months before polling day by Health Minister Peter Malinauskas, who could then lead the party, a la Campbell Newman, from outside the lower house while he awaits his confirmation in Croydon. While that was never going to happen, it does emphasise that Malinauskas is very much the heir apparent and his ascension now appears more a question of when than if. So it’s worth remembering who convened the Labor Right faction that foisted Vlahos on the cabinet back in January 2016 (hint: it was Malinauskas). But of course, Labor is merely doing what it always does, and does so well. Containing the damage. Cauterising the wound. Of the various Mental Health Ministers cited in the Oakden report, two are long gone (John Hill and Jane Lomax-Smith) and two are already on the way out (Jack Snelling and Gail Gago). Only Vlahos was still in the tent, and she quickly evicted herself (or was shoved to the exit) the second it became clear her continued presence at the top of Labor’s Legislative Council ticket was not merely untenable, but unconscionable. It was, of course, only ever to enable her party to try and distance itself – to some extent – from the devastating political fallout of the abuse, neglect and turmoil that festered under its watch. 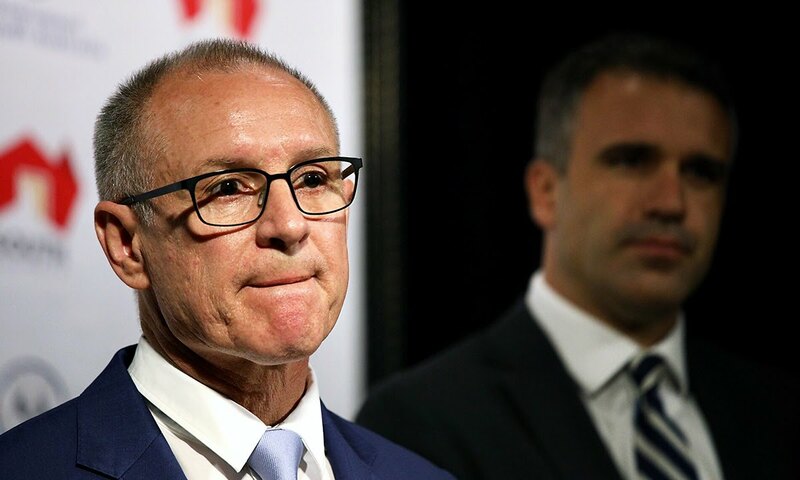 “I’m responsible for promoting a team that I have faith in after the next election and she’s not part of it [which is] a good thing,” Weatherill said yesterday. Vlahos has been a member of Labor’s parliamentary “team” since 2010. She was promoted to the ministry having previously served as parliamentary secretary to no less than Jay Weatherill himself. But let’s just recall a few other points, for posterity. Vlahos was originally supposed to enter parliament back in 1997 when, as a member of the since-defunct centre left faction she was on the verge of being ushered in for preselection in Lee under the imprimatur of powerbroker John Quirke. But the faction split over her nomination and in the end a ballot was held that narrowly promoted Michael Wright to the seat instead. It was the same story years later when Vlahos was widely touted to replace Russell Wortley in the ministry when he resigned in early 2013. But at the last minute, a deal was done that instead saw Tony Piccolo jump ship from the left to the right faction and enter the cabinet. Vlahos left the caucus meeting that confirmed the deal in tears. Another year later, she was the frontrunner to join Weatherill’s post-election cabinet but, yet again, some last minute wheeling and dealing saw the Right put Zoe Bettison up instead. While some insiders insist this is all just part of the Machiavellian machinations of the Labor Party, it’s hard not to ponder why, at every turn, there has been a seemingly concerted effort to keep Vlahos away. And yet, eventually, her time came. Because it was her turn. We talk a lot about how efficient Labor’s factions can be at stemming internal dissent – or, more appropriately, at ensuring it doesn’t become external dissent. Compared to the ever-warring Libs and their charming history of public spats, it appears the epitome of discipline. But the downside is it’s predicated on ensuring that everybody gets their reward, the prize that will safeguard their loyalty and keep them quiet. It’s all quite cosy, really. Since the days when the Rann ministry ballooned to 13 to accommodate the conservative crossbenchers that kept the government afloat (it’s now 14, to accommodate the inclusion of Martin Hamilton-Smith), the lower ministerial rungs have been often used as candy to sate the appetites of Labor backbenchers whose ambitions far outstripped their ability. These tend to be portfolios that rarely figure on the media radar, probably because they so rarely figure on the Government’s radar. The idea is that the lesser-performers can be handed a lucrative ministerial salary, replete with all the perks, and kept busy in an agency that will cause them – and the Government – minimal trouble, and minimal scrutiny if anything goes wrong. But something sure went wrong this time. And by its own stubbornness and Vlahos’s self-serving behaviour, Labor’s ensured it garners maximum scrutiny at the worst possible time. South Australians may be collectively gasping at Lander’s dossier of the minister’s breathtaking performance, but it should be of little surprise to Vlahos’s Labor Party colleagues. They, more than anyone, would have known whether she was up to the job into which she was promoted – and they promoted her. And then, when it was clear she had failed, they gave her the consolation of the cushiest seat in the house – a guaranteed eight-year term in the Legislative Council. She need never have set foot in the northern suburbs again. It’s easy enough to hang the ICAC Oakden report around Vlahos’s neck but Labor can’t wash their hands of it. 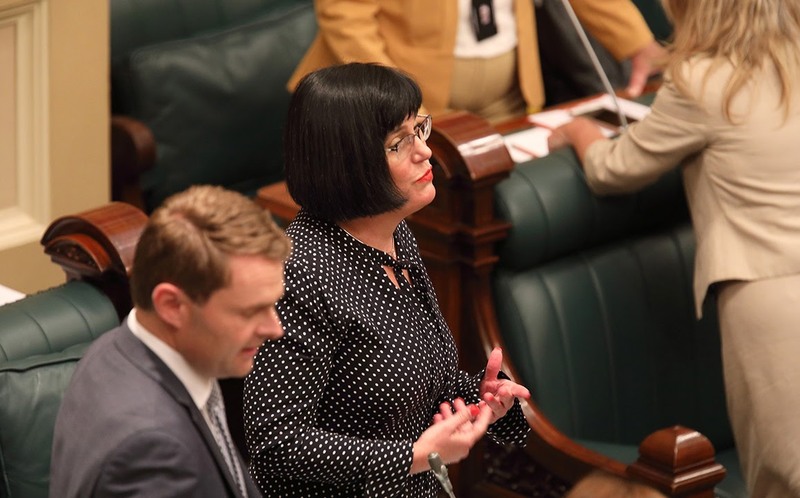 They made her an MP, and then they made her a minister, and then they rallied around her as the Oakden disaster unfolded. It was Labor that inflicted a Vlahos ministry and its ensuing train wreck on South Australia: they can’t wash their hands of her now.